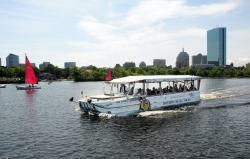 The ride lasts about 15 minutes. 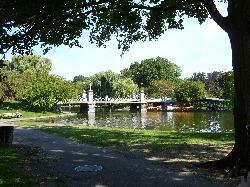 ... calm and quaint activity surrounded by the luscious Boston public gardens. 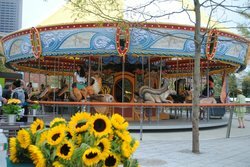 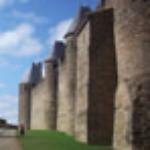 This is a great fun area to explore. 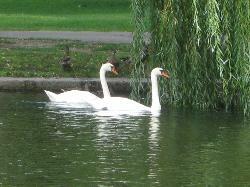 Last time I was there they released the real swans for the spring which was neat to see. 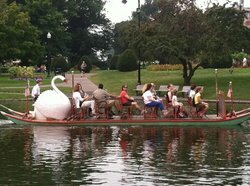 Seeing the swan boats out on the water is just one of those great Boston moments. 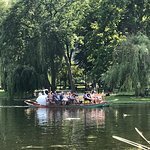 The 10-15 minute ride around one of the ponds in the Boston Public Gardens is ok for the youngsters. 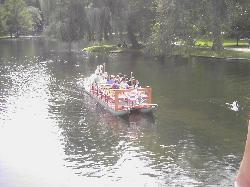 I had more fun standing on the bridge watching the poor girl paddle her legs like crazy to propel the boat. 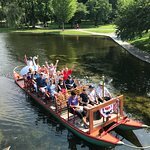 If you get the Go Boston pass it’s included so you must check it out.. it’s a short ride around a pond but the park where it’s located is beautiful! This was a fun thing to do. I can't believe I never tried this before. 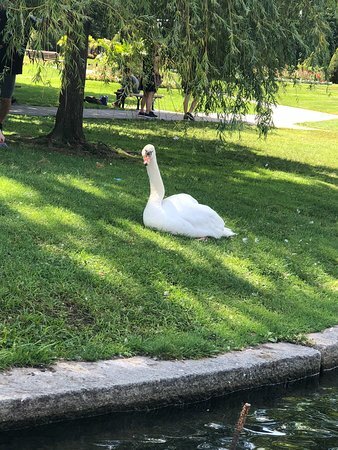 It was fun to go around the pond and see the ducks and swans and the people. I recommend doing it once. 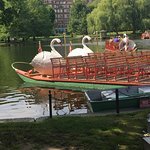 The swan boats were available through our Go Boston tickets. 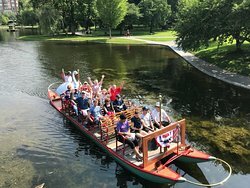 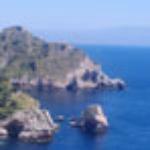 Children love the boats and adults get to enjoy the beautiful views. 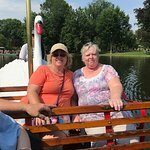 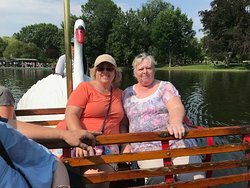 We were impressed that these are the original swan boats from the 1800’s and that they are completely powered by humans pedaling! 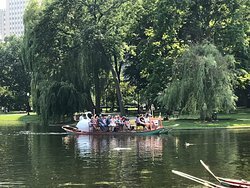 Get quick answers from Swan Boats staff and past visitors. 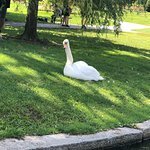 Are the swan boats open the week of November 10th-15th? 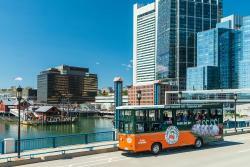 No, the season ends on Labor Day. 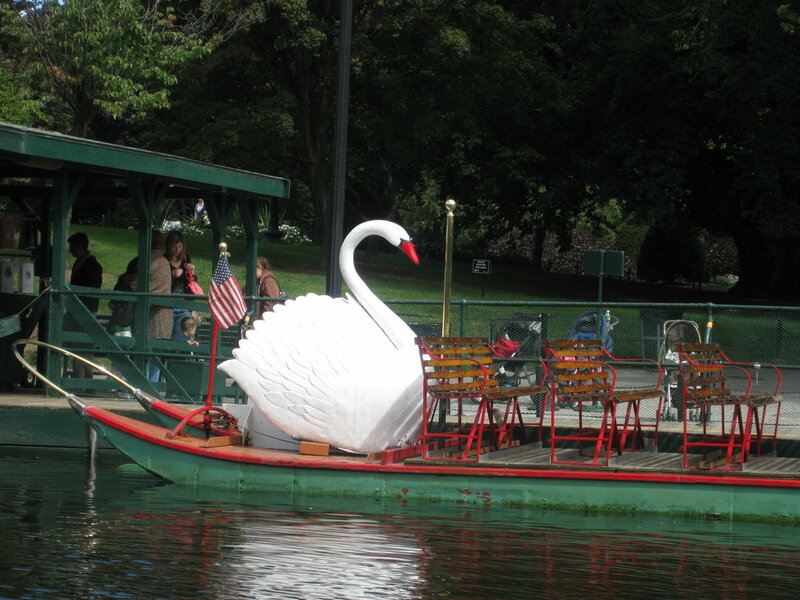 are the swan boats operating JULY 4th?